Delivery of electricity, gas, water, and telecommunications services are some of the biggest problem areas for consumers today. 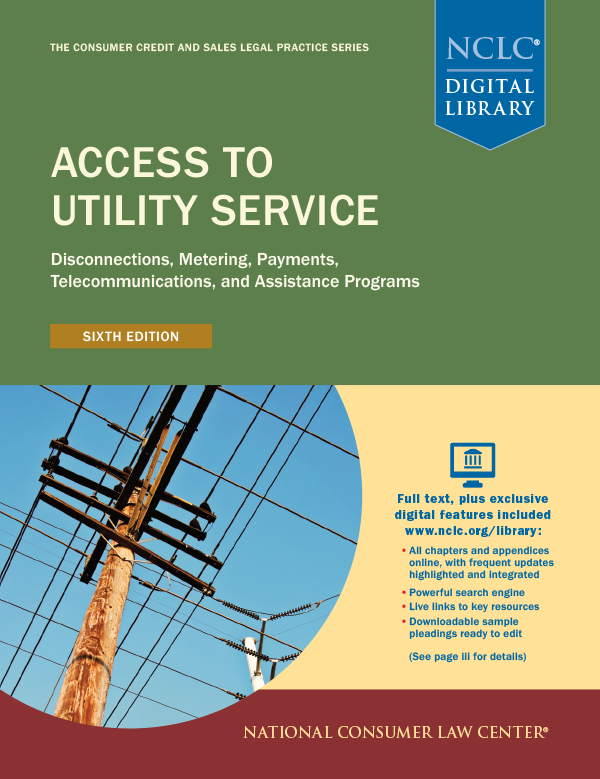 Skyrocketing prices, de-regulation, and widespread terminations all make access to utility service an area essential to a consumer law practice. Print and Online Subscription $150.00/yr.